Couple years ago, Wolford introduced Pure 50 tights. It features innovative glued seam and a specially developed exquisitely soft & smooth yarn. Together these features brought the comfort of Wolford tights to a whole new level. Early this month, Wolford released a product that incorporates their newest innovation – a waistband that can increase in size. What exactly does that mean? Let’s find out. ⊕ Exceptionally comfortable to wear. ⊕ Waistband size can be extended. The packaging is the same as before. One small addition is the square barcode on the top lefthand corner of the rear cover. The barcode will take you to the My Wolford webpage if you scan with a smartphone. Wolford has given instructions on how to make a cut on a separate cardboard. They are pretty straightforward to follow. Comfort Cut 40 are semi-transparent (40 denier appearance) tights in matte finish. It has a subtle reflective sheen, which is only visible under direct sunlight. The main feature of the tights is that it allows you to adjust the size of the waistband to your preference. This is done by scissor through one or more of the four indicated points. You can increase the waistband by half a size with each cut. Mind that the cut is irreversible, hence think carefully before you proceed. The waistband is 6cm wide. There is also a finger band measuring 5cm wide. The toes are reinforced. The composition is 87% nylon and 13% elastane. Rear side. Cutting points remains intact. Front side. Cuts were made. 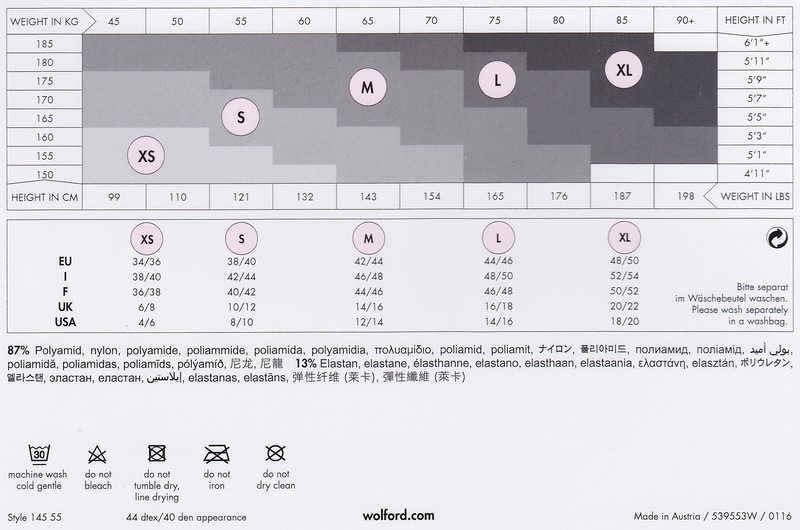 Comfort Cut 40 tights size chart. There are 5 shades resembling the cozy autumn. They are Mocca, Admiral, Black, Nearly Black and Anthracite. I have bought Anthracite for this review. I felt strong tension on the waist (my waist was 29” when I tested these tights). The tension was especially strong at the 4 cutting points of the waistband. Apart from this, the fit was great. The tights is prone to snag. Any rough materials (e.g., skin, nail or even pilling from other fabrics) can cause snag. Having said that, these snags may not be evident in semi-opaque appearance. In addition, I didn’t experience any pilling during the review. The texture is extremely soft and comfortable to the skin. It is also quite stretchy, hence I didn’t experience bags even after prolonged wear. It gave me a lighter and more breathable feel than the Pure 50 tights did. This was probably due to a lower denier. I did feel the waistband being thicker than tights with an ordinary waistband. I think it has to be done this way to achieve strong tension. I have made a simple FAQ for the waistband. What effect will it have if only one cut is made? The tension was released instantly when I made my first cut at the front left side of the 4 points. Although one cut was sufficient for me, I did feel an imbalance of tension between left and right. Hence I made a second cut at the front right side. If I were to redo the cut, I would choose the rear side first. By doing so I would have more room for the tights to manoeuvre while maintaining tension on the tummy. The latter is like a shaping effect. It will leave marks on the skin if the waistband is too tight for your waist. Also, marks of cut area can be visible under tight-fitting clothing. Can you use it as a shapewear? Partly yes. The tension only applies on the waist, and around the 4 cuttings points only. Therefore I say the effect will be limited. Cut area can be seen (right side of the image). It was not until I tried it on that I realised why Wolford decided to make adjustable waistband. The size of Wolford waistband has never been an issue for me. However, women generally have slimmer waist than men. Hence, what I see as a good fit may in fact be too loose for women (and vice versa). It is great to see Wolford bring this into attention and provides a work-around. Wolford has been using the specially developed yarn in a variety of products. They share the quality of exceptional softness and comfort. It also has an appearance very similar to that of the Wolford Individual range. For this reason, it is hard not to guess if we are seeing a gradual transition from Individual to Pure range. The Pure 10, the Comfort Cut 40 and the Pure 50 tights have covered the sheer, semi-opaque and opaque spectrum. If Wolford continues to introduce 15-30 denier tights and/or those with shape & control feature, that will complete the range. My only concern with the yarn is its proneness to snag. They are not prominent, but can be annoying. For this reason, I can’t wait to try the Pure 30 Complete Leg Support tights. 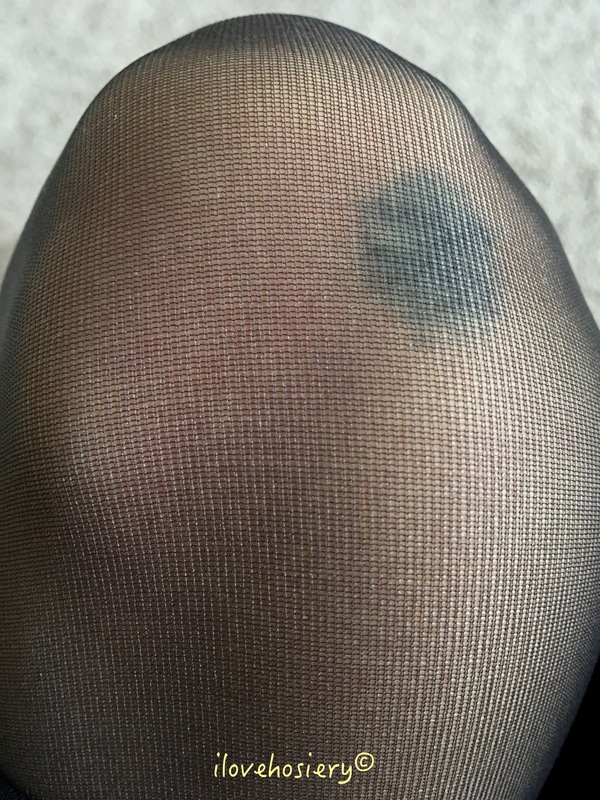 This is because compression tights has always been the most resilient when it comes to snags. It would be interesting to see how Wolford can maintain this “tradition”. Both Comfort Cut 40 tights and Pure 50 tights have their own unique feature but shares the exceptional comfortable feel. They are priced €39 or £39. 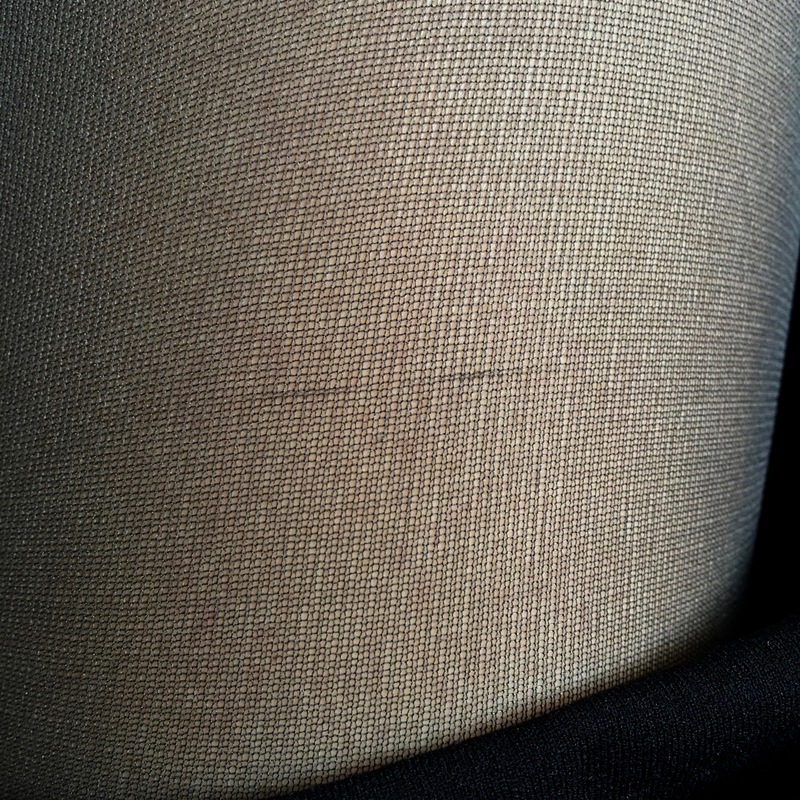 If you need the invisible seam, definitely go for the Pure 50 tights. 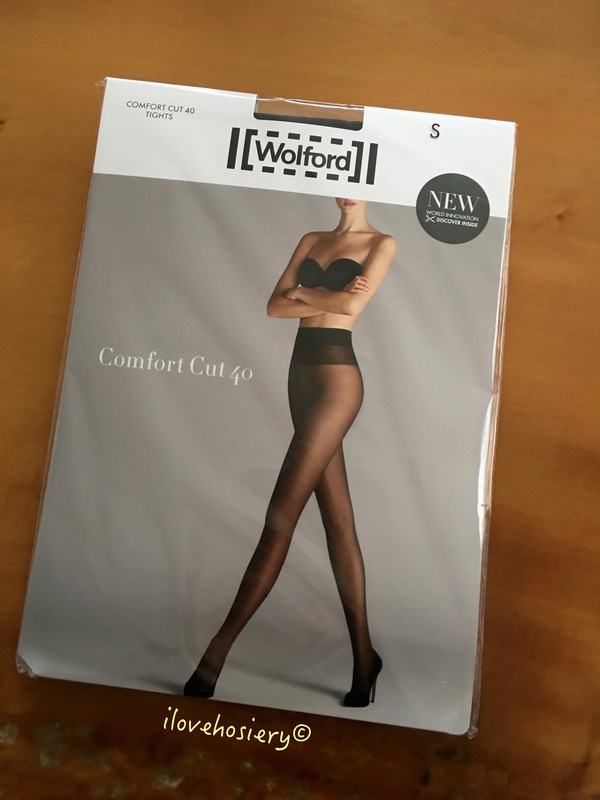 If you have had trouble with Wolford waistband size in the past, or you need the extra room, feel free to give the Comfort Cut 40 tights a go. 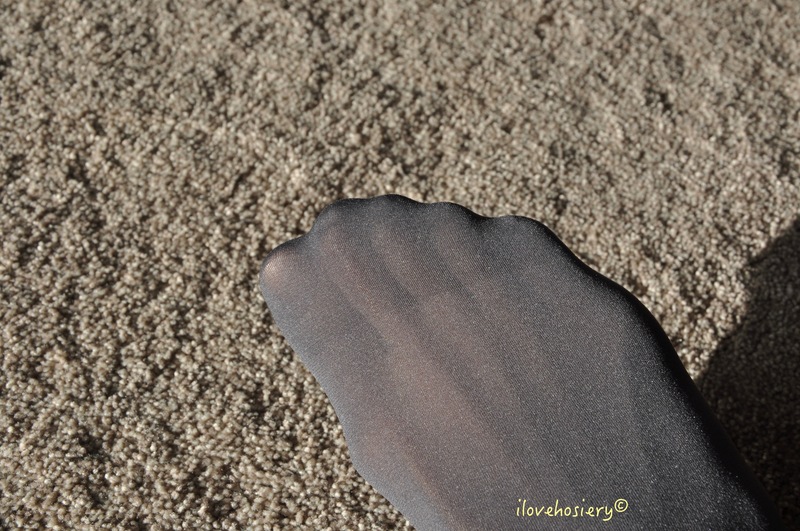 You can also find my review of Wolford Pure 50 tights here.